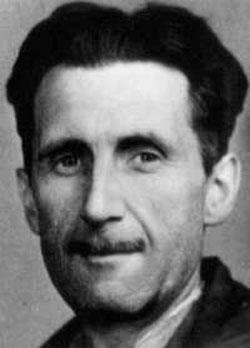 The Diary Junction reports that, as of tomorrow, George Orwell’s diaries will be available to the public. With the exception of a few diary entries contained in the four volume Collected Essays, Journalism, and Letters of George Orwell published in 2000 by David R. Godine, Orwell’s diaries as a whole have not been published in collected form. Like Samuel Pepys’s diary, Orwell’s diaries will be published as a daily blog. It remains unknown whether The Orwell Trust will see fit to introduce an Andrew Keen or Sven Birkerts-like antagonist who will tsk-tsk the late author from offering his work in blog form.